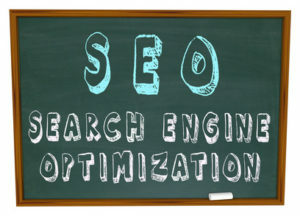 Search engine optimisation continues to be the most important of internet ‘arts’, but doing it properly requires constant monitoring of SEO trends and techniques. So what will 2014 mean for SEO? Let’s take a look over the horizon. If social media was a key component of any SEO strategy in 2013 and previously, 2014 is likely to see it become even more central to success. As social media use increases, so too does the number of shared links – read a Buzzfeed article recently? Taken a silly quiz? The chances are you did that by clicking a link on one of your social media feeds. Social media will become the prominent driver of traffic to websites in 2014. Also, expect Google Plus to be much more of an influence in 2014 than it ever has been before. Google have been taking steps to create a personalised search experience with G+ at its heart, and in 2014 we’re really going to see that take effect. Google will be pushing hard to get people to use its social network more than ever before, and if they achieve that aim then integrating Google Plus with your SEO, strategy will be important in the next 12 months. So thinking hard about your links and getting them shared will be even more crucial to the SEO win in 2014. And that of course means giving even more consideration to content. Expect Google to give far more consideration to the style and quality content over keyword stuffing in the rankings in 2014 – so don’t think you’ll be able to get away with producing mediocre material to appear on the first page of the listings. In 2014, you won’t. For instance, if you happened to be a boiler manufacturer, a website featuring a piece about ‘why we’re the best boiler company around’ is less likely to do well in the rankings than something like ‘how to take care of your boiler in winter’. You might have heard of rich snippets already, but expect them to be a major player in SEO in 2014. They’re the extra little bits of text under search results – for instance, for film searches you’ll often see star ratings, cast overviews, and so on. You’ll have spotted these in search results already – they’re far more eye-catching than results that are ‘snippet-free’. These mark-ups can be implemented through microdata. You’ll also find that these rich snippet results tend more and more to feature an author photo – and that’s thanks to Google Authorship, which is something else we expect Google will be pushing throughout 2014. It ties your blog posts to your Google Plus profile, bringing up your profile picture next to search results. And again – a search result with a photo is far more eye-catching than one without, and you’re much more likely to click on it. You’ll need to bear both rich snippets and Google Authorship in mind for your SEO strategy throughout the next 12 months. This also means that if you run a blog, you should aim for a very high standard and ensure that it’s highly relevant to your audience. Authorship aims to get the best writers ranking higher, so if you write your own blog and you’re not really up on your grammar, spelling and so on, then consider outsourcing, preferably to a reliable and quality writing agency or freelancer. 2014 will be a crucial year for mobile. Expect it to be the ‘tipping point’ where mobile optimisation becomes as important, or even more so, than a desktop website. So if you haven’t optimised your site for mobile – if it’s slow on mobile, suffers crawl errors, display issues and so on – get on it fast. A poorly optimised mobile site will affect your SEO ranking. Thanks to new technologies such as HTML5 and responsive web design, a good designer will be able to get your mobile web up to scratch and ideally, if you’re redesigning next year, you should look at taking a ‘mobile first’ approach. So that’s it – our top three predictions for SEO in 2014. Of course, in an ever-changing field like SEO there are bound to be plenty of things in the next 12 months that no-one could ever have predicted. And that’s what makes it such an exciting area to work in! Have a fantastic 2014.